When I began thinking about a theme for this year’s Glory Seeds I first hit on the idea of using “2018 Searching for the Spiritual Jesus the Prelude to Life” but something didn’t seem right after all why search for someone closer to me than I am myself? So, I decided to change it to this: “2018 Anticipating the Spiritual Jesus the Prelude to Life” The word anticipation is overflowing with meaning there’s a song that brings anticipation not only to 2018 but the rest of our lives as well. The song? “Standing on the Promises of God” https://www.youtube.com/watch?v=lofNq0U2xk0. 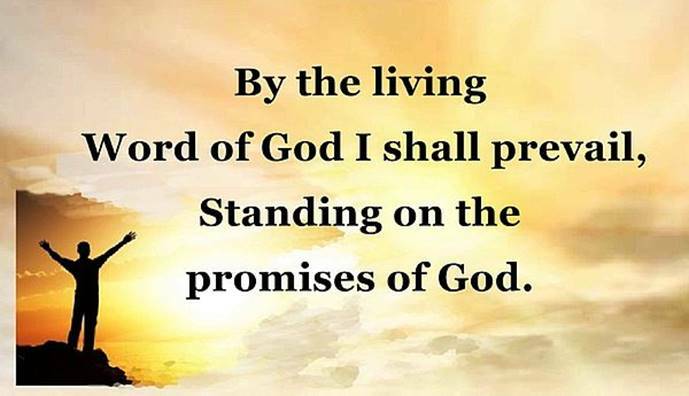 If you have a couple of minutes and listen to the words of “Standing on the Promises of God” for yourself. As you do think about this promise. “Keep your life free from the love of money. Be satisfied with what you have, for he himself has said, I will never leave you or abandon you.” (Hebrews 13:5, CSB, emphasis mine) Every other promise filters down from the fact Jesus is with us through thick or thin! "Scriptures marked NCV quoted from The Holy Bible, New Century Version, copyright © 1987, 1988, 1991 by Word Publishing, Dallas, Texas 75039. Used by permission." Scripture quotations marked CSB have been taken from Christian Standard Bible, Copyright 2017 by Holman Bible Publishers. Used by permission. Christian Standard Bible and CSB are federally registered trademarks of Holman Bible Publishers. Your song choice is one I grew up on another little chorus was Every Promise in the Book is Mine. They’re yours too of course and backed up by the truthfulness and faithfulness of our great God. so we can keep on standing.